Every year, for the past four three years, Google has released a flagship device, one whose sole purpose is to exemplify what an unadulterated Android experience should look like. 2011 is no different and with the help of Samsung, the company responsible for Google’s previous flagship device, the company has brought the Galaxy Nexus to the market, the first phone to sport Android 4.0 Ice Cream Sandwich. With dozens of phones competing for the hearts and minds of consumers, the Galaxy Nexus comes at a crucial time, and with a feature set that is bound to wow consumers, this just could be Google’s answer to the critics. We’re here to provide some additional insight for you into the quality of the Galaxy Nexus, and to give you information on where to buy the Samsung Galaxy Nexus at the best possible value. The Galaxy Nexus is a GSM phone across the pond and a CDMA + LTE phone in the states. We’ll differentiate which features appear on which device when applicable. Starting out the spec sheet is a 1.2GHz Texas Instruments OMAP4 dual-core processor with GPU, 1GB of system RAM and 32GB of onboard memory. Unfortunately, you are not allowed to expand the memory past its 32GB cap, but this is the standard capacity on most smartphones. Moving past the processor, we are greeted by a 4.65-inch screen. What makes this screen different is its pixel count which is an astonishing 720 x 1280 pixels. That amounts to a whopping 315 ppi. The screen tech used is Super AMOLED (no Plus unfortunately) along with scratch resistant coating. Samsung says the scratch resistant glass is not Gorilla Glass, but it uses the same material as the trademarked material. A 5 megapixel camera sits in the rear of the camera with support for 1080p video clips. Up front, we have a 1.3 megapixel camera suitable for video calling. When it came time to turn on the Galaxy Nexus, we were excited. Holding the phone is one thing but turning it on and noticing how crisp, bright and awesome that 720p screen is hard to put into words. We can unreservedly say that this is the best screen we have tested on a mobile phone. Not only are colors crisp and bright, but the saturation is not overdone. Moving on from the screen we spent some time putting the phone through its paces and were pleased with the overall performance we got. Web pages loaded fast over Wi-Fi as well as on Verizon’s LTE network. Games loaded quickly and thanks to that dedicated GPU, we had no problem throwing the most graphically intense games we could find on the Android Market without the phone choking. The Galaxy Nexus has a 5 megapixel camera and while this may sound dated when compared to the 8 megapixel units that seem to be standard on today’s flagship phones, we personally didn’t find many gripes with it. Yes the loss of three megapixels was evident in low light photography, but other than that the colors and details were great. The same thing can be said about the video recording which left is feeling good. Suffice to say, using this as your everyday point and shoot will not be impossible. As noted before, the Galaxy Nexus comes with Android 4.0. a couple of things that stand out about this latest build is the face unlocking feature, improved voice controls including the ability to dictate long phrases to the phone. The UI has been cleaned up and now resembles Honeycomb a bit more. This is by far the best update we have seen to Android yet and it definitely brings a lot of things to the table. Whether you are a fan of Android or not you owe it to yourself to check out the Galaxy Nexus. This is not just any phone; it is a phone that can easily hold its own against the likes of the Samsung Galaxy S II, DROID Bionic and iPhone 4S. The only thing we despise is the starting price point which is $299 on Verizon’s network. Thankfully there are Verizon authorized retailers offering the phone for as low as $149.99. If you have the cash for this savvy smartphone, you will not be disappointed. 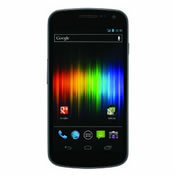 Our one click access delivers you to the best retailers when it comes to where to purchase the Samsung Galaxy Nexus.